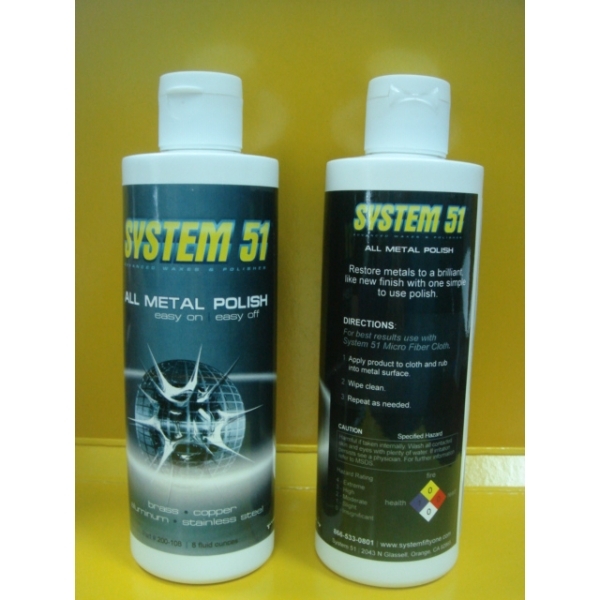 All Metal Polish is specifically formulated for perfectionists seeking an even, consistent, and optically pure finish while virtually eliminating the possibility of surface burn. 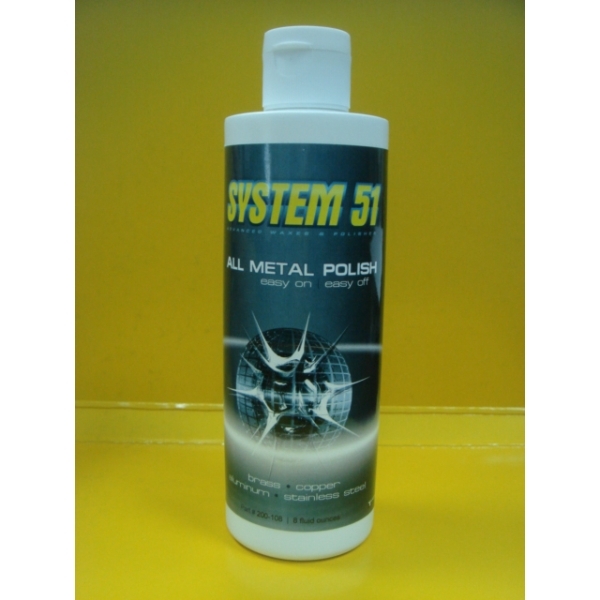 System 51 All Metal Polish will polish any type of metal, brass, copper, aluminum, stainless, steel, chrome, and more, to a perfect swirl free finish in one simple step and with only one product. 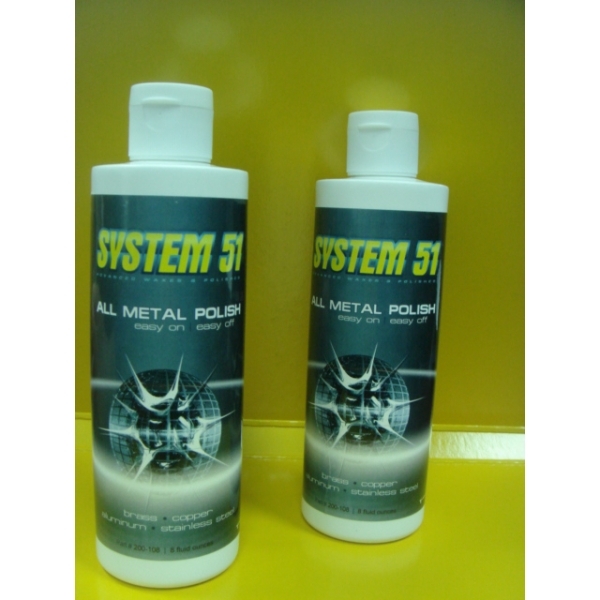 For best results use a System 51 Micro Fiber Cloth to bring out the true shine. 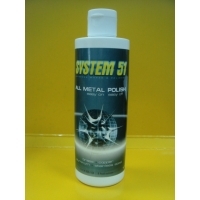 System 51 recommends using the “Replenish Wax” to protect the freshly polished metal surface.